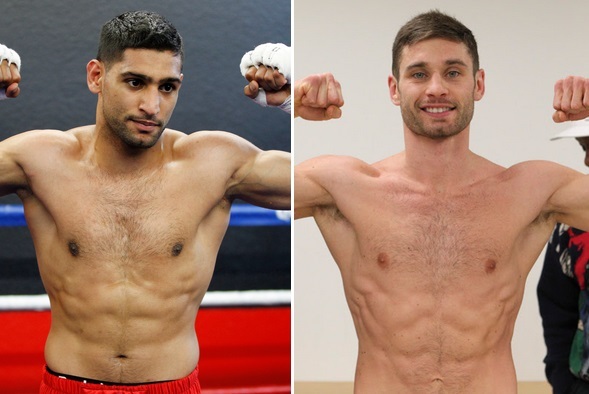 Amir Khan has finally unveiled his next opponent who will be Chris Algieri and the fight will take place on 30th May but the fight is yet to be announced officialy because some of the paper work is yet to the completed. Chris Algieri last fought Manny Pacquiao towards the end of 2014 and that was his only defeat in the short career so far, Algieri has decent resume with 20 wins out of 21 fights and he has the experience of sharing ring against one of the best boxers in Manny Pacquiao. Amir Khan was quite hopefull of landing the fight against either Floyd Mayweather or Manny Pacquiao but since both Floyd and Pacquiao are scheduled to fight on 03 May Khan had to look elsewhere. There were some twitter war between Amir Khan and Adrian Broner for a while but nothing materialized there while a rumour fight against Kieth Thurman posed a big threat while the biggest talking point was Kell Brook who has been looking for a fight against Amir Khan for so long and Eddie Hearns tried to persuade Khan for a domestic welterweight title fight against Kell Brook but Khan dismissed it untill late in the year or early next year. So Amir Khan’s team negotiated with Chris Algieri for May 29th fight but the details are yet to be announced about the venue and what channel will broadcast the fight. We can safely assume that the fight will be United States and most probably will be in New York the home city of Chris Algieri. This will be a non title fight and as the rumours stands the fight will most probably be aired on NBC sports network and will take place in Barclays Centre.